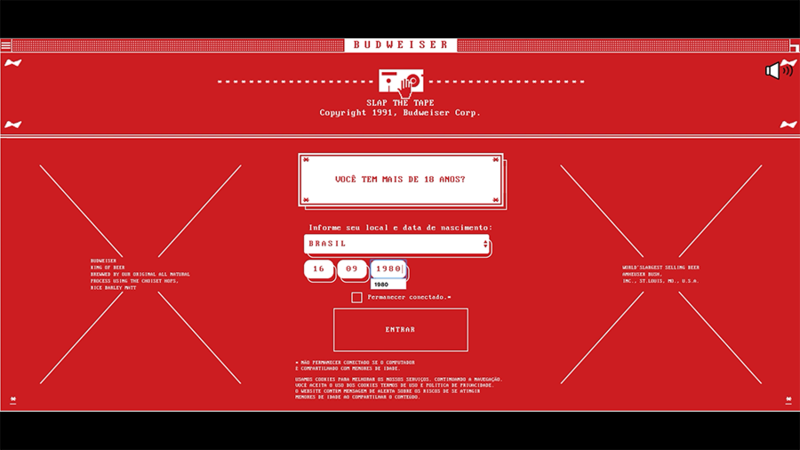 Together with Africa Agency, Webcore developed a website for Budweiser’s marketing campaign Slap the Tape, for the Lollapalooza music festival. 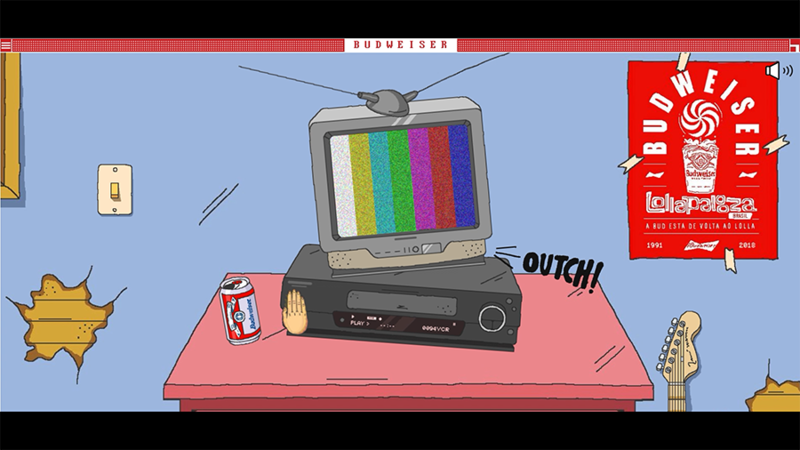 The idea was to celebrate Budweiser as the first company to ever sponsor Lollapalooza, in 1991, and bring out the nostalgic feeling of the 90’s with a very common situation back then: the cassette tape getting stuck on the VHS. 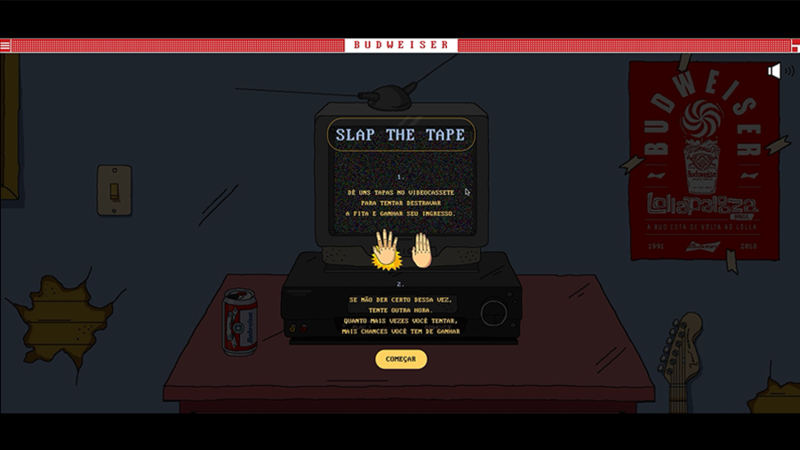 The campaign was a giveaway of 9 tickets to the festival, all the user had to do to participate was go on the website and give the video cassette player some slaps. After a certain amount of clicks a message was displayed on screen announcing whether or not the user had won the ticket. In case they had won, the user needed to fill out a form in order to receive the tickets afterwards.